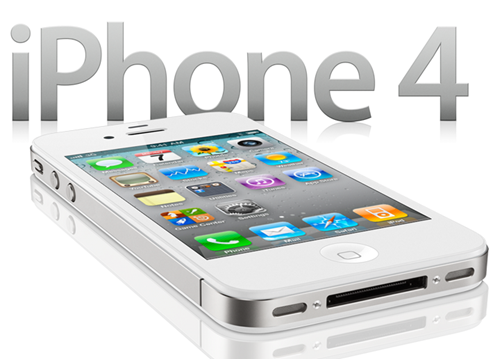 Despite all of the many rumors and speculation circling Apple’s next smartphone, sales of the Cupertino outfit’s current iPhone 4 have not exactly let up. Indeed, the device has continued to shift large numbers and continues to dominate sales on both AT&T and Verizon. Despite being 14 months old, it is still being sold in droves and it’s therefore unsurprising that Apple doesn’t appear to be in any sort of hurry to get the next iPhone to market. In years passed, the device has tended to make an appearance by the end of Q2, but with the distraction of the iPad 2 and iOS 5, there has been much delay this time around. 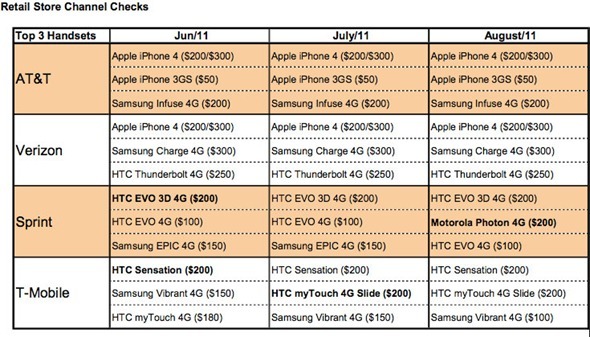 Even more impressively, the 2+ year old iPhone 3GS remains AT&T’s second best seller, despite the majority of the smartphone range eclipsing the device in terms of features; although it is most certainly helped by the $50 price tag which was reduced to nothing recently in a BestBuy one-day promotion. It could well be both the 3GS and iPhone 4’s penultimate month in the charts before Apple refreshes the line-up. A prototype device, codenamed the “N94” and strikingly similar to the iPhone 4, has just been given an FCC I.D., and looks firmly set to become the understudy to the iPhone 5, attracting customers that begrudge paying several hundred dollars for a smartphone. Of the main device, with obviously nothing set in stone, we can presume that there will be a larger Retina Display, an iPad 2-esque design, a lighter, faster and thinner device, and hopefully an 8 mega-pixel camera. As a side note, we’ve a little news on the actual release date of Apple’s iPhone 5. A leaked Best Buy memo suggests extra required managerial workload on Friday 21st October from 6AM-9AM to accommodate “Apple Fixture Installation”, which suggests that the device could hit stores that morning. Best Buy don’t ordinarily require a manager to arrive before 7AM, and if you follow the previous trends, it is a similar pattern of events which led up to the iPhone 4 release last time around.